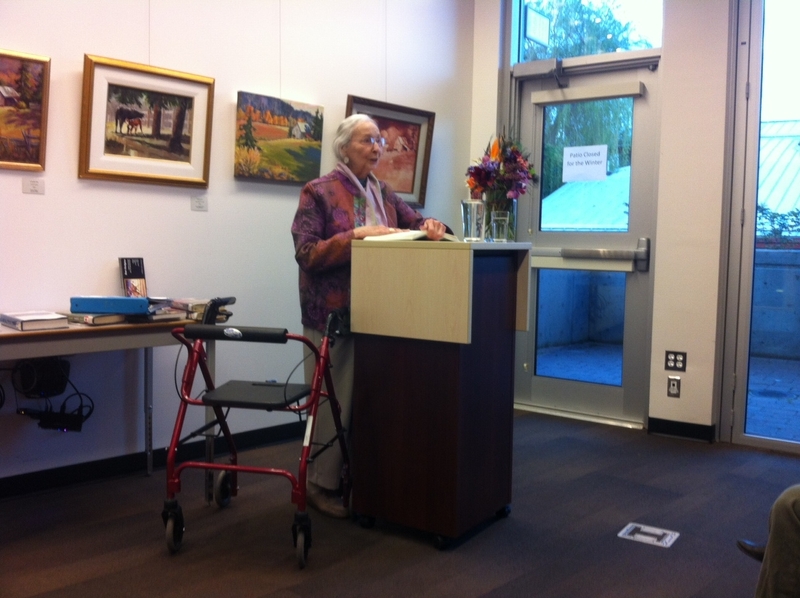 Wednesday, April 17, 7-8:30 p.m. at the Salt Spring Library: National Poetry Month Reading. Earth Songs: Celebrating nature in all its forms: the forests and oceans, the birds and butterflies—all that delights, sustains, and nourishes us on Planet Earth. Christine Smart is the author of two books of poetry published by Hedgerow Press: The White Crow and Decked and Dancing (winner of the Acorn-Plantos People’s Poet Award); she also writes fiction and non-fiction inspired by nature: sailing, hiking, swimming, and gardening. Diana Hayes is the author of four poetry collections, including This is the Moon’s Work (Mother Tongue Publishing, 2011); a new volume of poems will be published next year by Plumleaf Press. Lorraine Gane is the author of several chapbooks and three poetry collections, among them The Blue Halo (Leaf Press, 2014), and The Way the Light Enters (Black Moss Press, 2014); she is now completing her fourth poetry book. Murray Reiss is a lifelong activist, poet, and Climate Action Performance Poet whose first book, The Survival Rate of Butterflies in the Wild (Radiant Press), won the League of Canadian Poets 2014 Gerald Lampert Award; his second poetry book, Cemetery Compost, was published by Frontenac House in 2016. On Saturday, April 7, Salt Spring members will meet at the Brinkworthy Club House from 4-7 p.m. New members will give presentations on their books. This will be followed by a potluck dinner (please bring a dish to share). Please RSVP lorrainegane@shaw.ca. For directions see below. On Saturday, July 8 from 3:30 to 5 p.m. Lorraine Gane will give a talk on grants available to Canadian writers and how to increase the chances of success. There will be time for questions and answers. This will be followed by a potluck dinner (please bring a dish to share) to 6:30 p.m. Free. Please RSVP lorrainegane@shaw.ca. From the Vesuvius Ferry: after leaving the ferry, drive on Vesuvius Road to the first intersection (Lower Ganges Road) and turn right; follow the road to Brinkworthy Road on the right (about 1/2 km), then follow the directions below to the clubhouse. From Fulford Ferry: after leaving the ferry, drive on the Fulford-Ganges Road through Ganges and turn right at Brinkworthy Road (about 2 1/2 km north of town); follow the directions below to the clubhouse. Location: Brinkworthy Place, 135 Brinkworthy Rd. Directions to the clubhouse: drive into Brinkworthy on Beech Street and cross Cherry. The clubhouse is on the corner of Beech and Pine. You can’t miss it. Please park in the parking lot, not on the street. Tuesday, June 9, 7 p.m.
Tuesday, June 16, 8 p.m.
Tuesday, June 30, 7 p.m.
Salt Spring poet Lorraine Gane is launching two new poetry collections this fall: The Way the Light Enters (Black Moss Press) on Sunday, October 12, with readings along one of the most beautiful coastal walks in the Gulf Islands (2-3 p.m., meet at the barn at Ruckle Park, rain or shine) and The Blue Halo (Leaf Press) on Saturday, October 18 at the Salt Spring Library with Nanaimo poet Mary Ann Moore at 3 p.m. In this free workshop you’ll be presented with a summary of the major grants available to writers through government funding bodies, as well as ways to write a compelling, clear, and concise application to increase the chances of success. There will be time for questions and answers. A resources list and other material will also be provided. Date: Saturday, August 23, 2-4 p.m.
On Saturday, November 30th at 12:30pm, two Salt Spring poets will join together for Love and Beauty: The Perfect Day of Poetry at the Salt Spring Library (129 McPhllips Ave., 250-537-4666). Joanne Thorwaldson will read from thirteen poems for releasing love and Lorraine Gane will read from Beauty and Beyond: Songs of Small Mercies. Joanne Thorwaldson’s thirteen poems for releasing love was recently shortlisted for the 2013 bpNichol Chapbook Award. 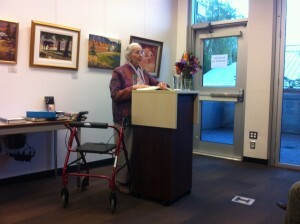 She has a previous chapbook of poems written with K. Louise Schmidt (Vincent) entitled The Letter Poems. Lorraine Gane is a poet, writer, teacher, and editor. She is the author of Even the Slightest Touch Thunders on My Skin (Black Moss Press, 2002), Beauty and Beyond: Songs of Small Mercies (Leaf Press, 2012), and The Blue Halo, to be published by Leaf Press next year. Lorraine is currently completing a book on writing, and she also mentors writers through workshops, online courses, coaching, and manuscript editing. www.lorrainegane.com. Moka House, #103-1633 Hillside Avenue, Victoria, B.C., Canada, V8T 2C4, (250) 370-2077, 7:30 P.M., $3 at the door.